Social apps are quite popular among all smartphone users nowadays. 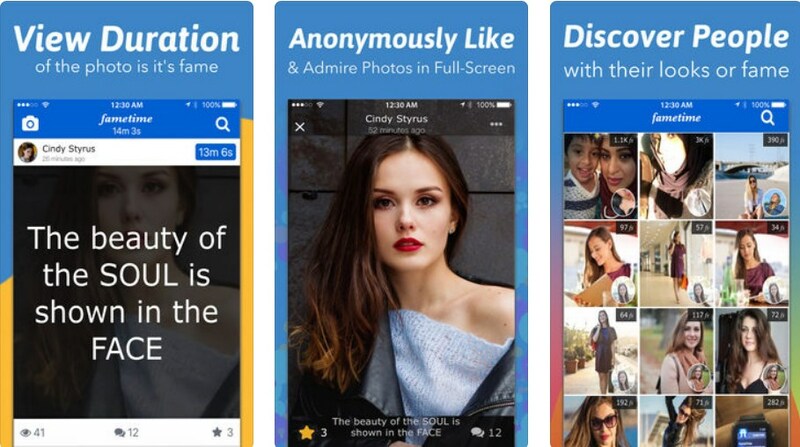 This type of app will allow you to connect with friends, meet new people, share photos and view photos posted by others, getting likes and views. If you like to try something different and you enjoy taking photos but you want for people to discover and see your creativity, there are apps especially created for that. We looked and we have a great photo sharing and social app for you. Let’s see what the FameTime app is all about. 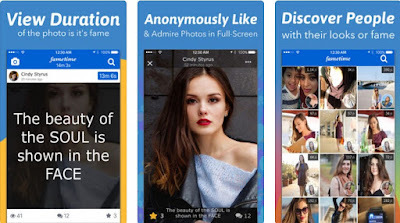 FameTime is developed for Android and iOS users as and photo sharing and social app which offers users to snap and post photos with friends and followers to get attention and become famous with their original and cool photos. With intuitive UI design, simple and easy to use, this app allows you to snap photos that are good looking and the attention depends on how long each of your photos is viewed. Let people discover and enjoy your creativity by posting amazing and beautiful photos and remember that each second your photo is viewed counts. This social and photo-sharing app with the features offered is based on the fact that actively photo viewing is better than just clicking on the like button robotically as users are scrolling down their feed. Longer viewed will be the photos that are better looking because just a like does not do justice to the photos. If more of your photos are being viewed, more chance you have for your photos to become famous and you too. To encourage followers to click and view your photos you can put clever and funny captions and the FameSeconds are here as the number of seconds that show you how long your photo was viewed, from clicking on the photo to the closing of the photo.You can easily view the duration of your photo on the top right corner, and see how much fame it got! Users need to simply click anywhere on the photo to open it and view it. You will get your chance to connect with followers and friends, capture, upload and share your photos online to become FameTime famous. Take photos that will inspire others and that look original and gorgeous to bring something unique that will attract attention for you to become famous and get the most of the seconds and love by the other users on this social network. Download it now on Google Play and App Store for free to share cool and original photos to get attention!